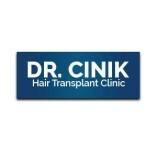 Dr. Cinik Hair Transplant Clinic is a hair transplant Clinic founded by the famous Dr. Emrah Cinik. With immense experience in this field, the clinic specialises in helping patients undergoing hair loss and other related issues. Both FUE and DHI methods of hair transplant procedures are available here.